(l-r) Mo. 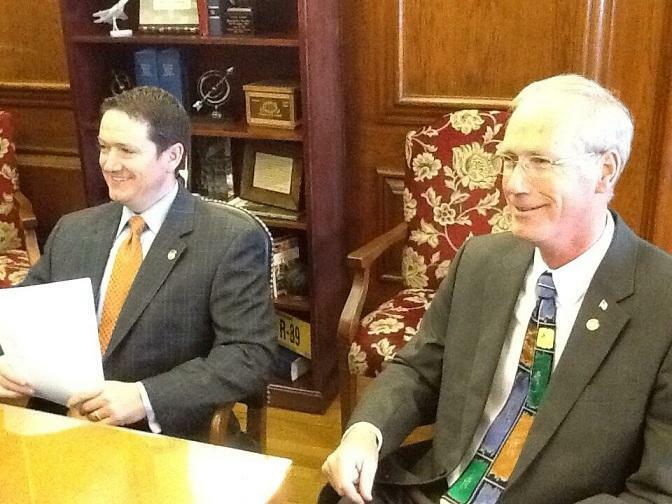 House Speaker Tim Jones (R, Eureka) and House Budget Chairman Rick Stream (R, Kirkwood). The 13 bills that make up the state budget have been filed in the Missouri House, and they don’t include Governor Jay Nixon’s (D) proposed Medicaid expansion. That part of the Governor’s budget proposal would have drawn down $908 million in federal funds for Fiscal Year 2014, which begins July 1st. House Budget Chair Rick Stream (R, Kirkwood) says as a result, the Governor’s projected $46 million in savings is also being removed from the budget. 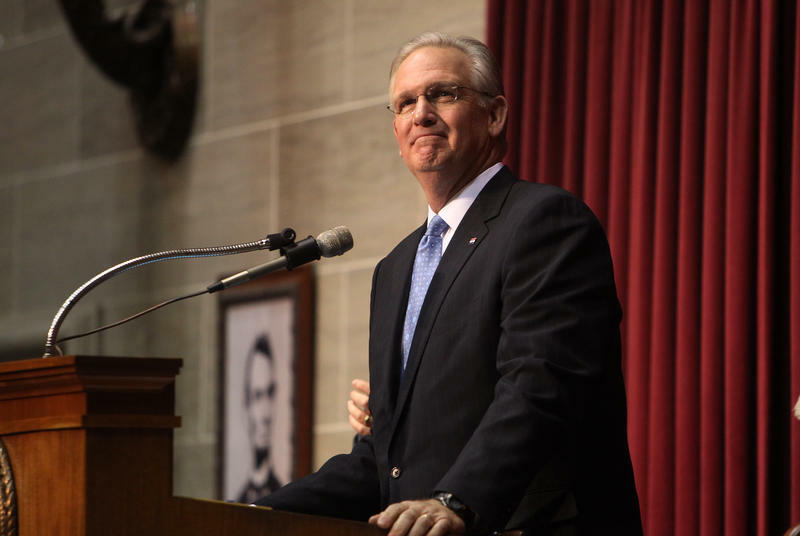 Stream says he’s sticking with the Governor’s proposed budget for Missouri’s K-12 schools, while he wants to spend $14 million less on Higher Education. The House version of next year’s budget also makes room for the Governor’s tax amnesty proposal. 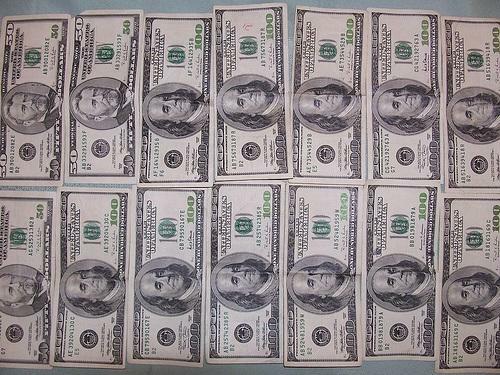 Missouri lawmakers have until May 10th, one week before the 2013 session ends, to pass the state budget. The Missouri legislature convenes this Wednesday. The hallmark issue may be Medicaid expansion. Topics of tax credits and arming classroom teachers are also expected to come up for debate. Host Don Marsh talked with St. Louis Public Radio’s statehouse reporter Marshall Griffin, St. Louis Beacon political reporter Jo Mannies, and University of Missouri – St. Louis political science professor Terry Jones about the upcoming session. Gov. 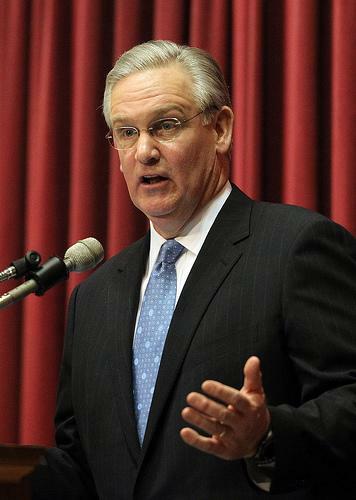 Jay Nixon's administration is bolstering his plan to expand Missouri's Medicaid program with an analysis estimating that it could save the state money in the near future. Figures released this past week by Nixon's budget office show Missouri could see a nearly $47 million increase in general revenues during the first year of the Medicaid expansion in 2014. That boost in state revenues would grow to nearly $140 million in 2016 before beginning to decline. 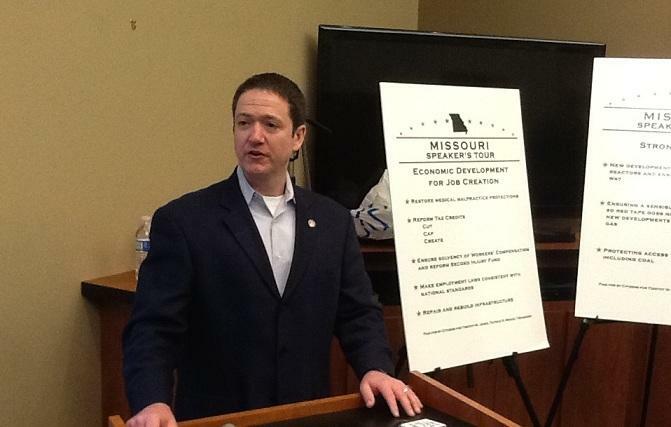 Missouri House Speaker Tim Jones (R, Eureka) has been touring the state this week, promoting the so-called three “E’s” that House Republicans say they’ll focus on next year – the economy, energy, and education – but their agenda still likely won't include a fourth “E," expansion of Medicaid. Jones told a group of reporters in Jefferson City today that House budget writers start off every year looking for $150-$200 million for the state’s Medicaid needs.